In view of the continuous attempts to hack user accounts of various web services, two step authentication is becoming an essential security tool to safeguard user accounts. Google introduced it for all Google services like Gmail using Google Authenticator App and PIN generation for non smartphone users. Starting today, Microsoft has started to roll out a similar Two-step authentication to protect entire Microsoft account irrespective of the device you are using, whether its Outlook or Hotmail or any other service using the Microsoft account. 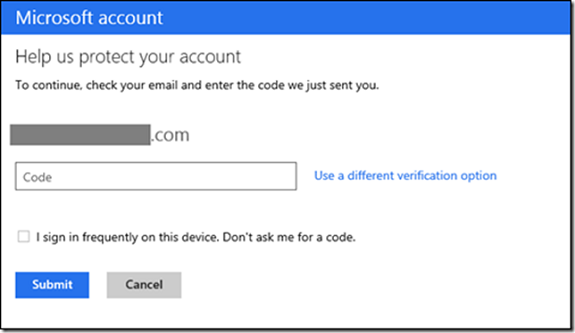 Two-step authentication is disabled by default in Microsoft account even after this roll out. User must enable it to start using the additional layer of security for his/ her account. If you enable this,you will be prompted to enter a code while you sign on. If you own a smartphone, then you can set up Microsoft authenticator app similar to Google Authenticator, which provides two-step verification codes offline without the need to connect online. Similar to Google, If you have an app or device that doesn’t directly support this (like your Xbox, or email app on smartphone), an app password unique to each application or device need to be set up and used instead of the default password. 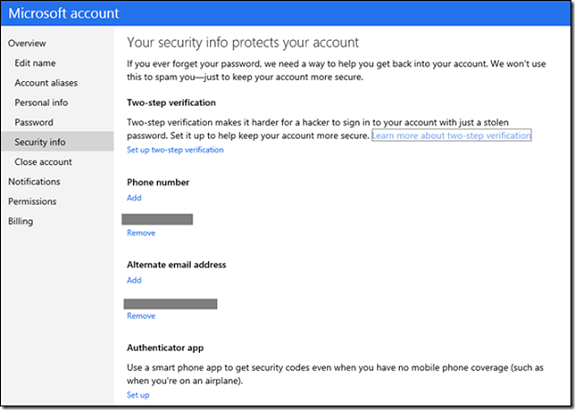 Most users are yet to receive this important security roll out to their Microsoft accounts (including us). We will try to cover it in detail once we get access to this in any one of our Microsoft accounts. The roll out may take few days to a week time to reach everyone.